This livestream was a mess. I feel like everything I tried to do just wasn't coming out like I had it in my head. 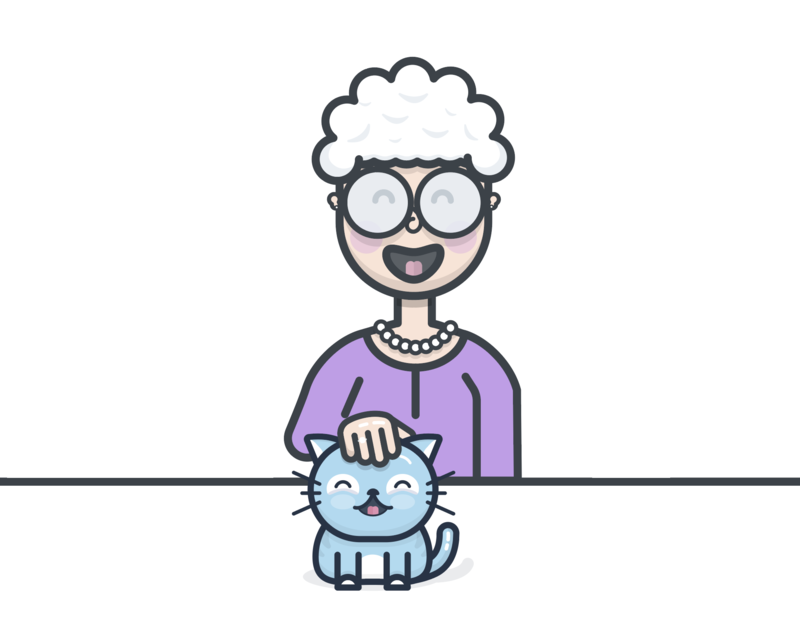 I started out playing with the grandma illustration that I started in the last livestream, but it just wasn't coming out right for some reason. I tried to make it look like she was petting Chico, but for the life of me I couldn't get the arms / hand to look right. So instead of getting nowhere with this illustration, I moved onto some Chicomojis. I was able to create one new one (the scream ðŸ˜±) before I ended the stream. Join 45,000+ people who are already joined my YouTube family.Â I create new videos every week (and of course livestream every Saturday).